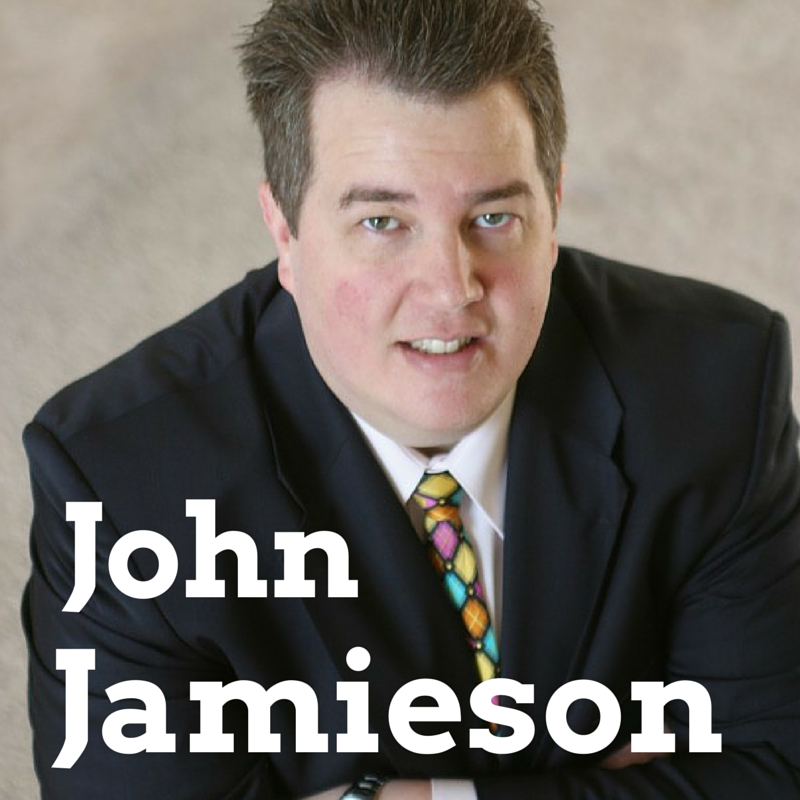 John Jamieson is from Detroit and is the owner of the Perpetual Wealth System. He is also the best selling author for the book entitled “The Perpetual Wealth System”. His work and business focuses on helping people develop better business models and to create tax free wealth. He talks to Jason today about Detroit and its economic decline. 4:30 – John talks about the decline of Detroit. 7:30 – Detroit has a bout of corrupt politicians over the years. 9:10 – John tells the audience that all the schools and churches he went to as a kid are now closed. His friends’ parents have all moved out of the area. All that’s left of his home town is memories. 15:20 – What’s happening now in Detroit? 19:10 – Detroit currently has some very unique investing options right now. 21:35 – John talks about the kind of taxes and insurance you’d be expected to pay while owning a house in Detroit. Welcome to the AIPIS Show for Accredited Income Property Investment Specialists and those who desire to be. This is your host, Jason Hartman, where we talk about increasing your income, your productivity, and just generally having a better life while serving your clients better with America’s most historically-proven asset class, income property. We have a great interview for you today and we will be back with that in less than 60 seconds. 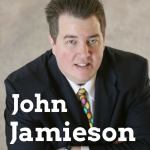 Hey, it’s my pleasure to welcome John Jamieson to the show. He is the author of number one best seller the Perpetual Wealth System and he’s a daily fiance real estate columnist. He is based in a city that I like to base a bit and I think our guest is ready for that and he’s ready to counter some of those impressions and agree with others and that is Detroit. I call Detroit the poster child as to why big government doesn’t work, my home state, the socialist republic of California. It’s kind of becoming the new Michigan, I’d like to say. The thing about real estate that we all have to understand is all real estate is local and it’s not only local for a metropolitan statistical area or even a city, it’s local to neighbors and suburbs and we’re going to take a deep dive into that today and I think you’ll find that to be very interesting. John, welcome, how are you? I’m doing very well. Thank you so much for having me on the show. I appreciate being here. Well, the pleasure is all mine and I hope you don’t mind my teasing Detroit. No one likes to hear their home town teased. I guess you have to agree with some of it. Take us through the history. I mean, your dad was a Detroit, I guess you grew up right in the city, right? I sure did. I was born and raised in the city. My dad was a Detroit police office for about 30 years and that was starting in the 50s. So, my dad was a police officer during the hay day and very much right in the middle the start of the decline in the city he was also a police office. I lived actually in the city limits until I was about 19 and then we moved out to the suburbs. I’m still here in metro Detroit, but I was actually in the city limits for my first 19 years. When we talk about hay day, you know, Detroit really was something big. I mean, it was really one of the flagship cities in the entire world. The auto industry, music, Detroit was a big deal in it’s day and over the decades we saw the population really be cut in half. I think it was about 1.6 million, depending on what areas you’re counting exactly, and now it’s down to about 800,000, which is a pretty big deal. You know, we see this stuff on the news about them bulldozing housing and stuff like that and that is the current stuff. Take us through chronologically if you would, John, you know, what happened with the city. It definitely was great in the hay day, when did it start and why did it start? Well, there’s many issues why it started. When it started, that’s open for debate, but you know, you basically had the riots here in the 1960s and that didn’t help. So, what you saw was a very much divide city radically and it probably still one of the most racially divided cities in the country, which is a shame, because we all know there’s good and bad people of all races, sizes, and colors, but Detroit, after those riots happen, that’s when you saw an exit of a lot of the wealth that was in the city and that continued to happen and as you say, it became a welfare city and a government state that just continued to fund money into it, but yet people kept leaving and leaving. You mentioned something about the population, at one time, Detroit was considered the wealthiest city per capita in the country, believe it or not. People have no idea that was true, but if you think about it, we had the automobile and we still have the automobile. As people started to leave, you know, you went from 1.8, but now down to about 700,000 people that are actually in the city limits, but what people don’t realize is most of those people didn’t leave the city. They left the actual city limits and I am case in point. Now for the last 25 years I’ve been in the suburbs, but never more than 20 minutes from the city lines. So, the metropolitan city area has 4.5 million people in it when you take into the tri-county area, not just the city limits. That’s when it all started and it got worse and worse and a lot of corrupt government and people not taking pride in the city and a lot of people left and it became a very adversary relationship between the city and the suburbs and now frankly, they’re coming back together because they realize they both need each other. That really took place over between 20-40 years. It was several decades that took place, so now, that’s what we’re left with, but what people don’t realize there’s a lot of money here and we’re free to talk about that if you like to. Yeah, I definitely want to dive into that, but I just don’t wanna gloss over kind of some of the histories to how this happened first, then we will bring it up to current date here in just a few moments. So, you know what strikes me funny and I have no idea what your political beliefs are, but on the political left, you know, on the democratic side of the equation, it seems like you always have these democrat politicians who promise to help certain groups and all of this “help”, I’ll put in single snarky quotes here, they promise to do or they actually deliver ends up hurting the people they say it will help and I don’t know if it’s law of unintended consequences, I don’t know if it’s by design and it’s really a conspiracy to keep people down and build in a permanent voting block for this party, but Detroit has just had a bout of corrupt leftist politicians over the years, hasn’t it? Oh, it sure has. I mean, as far as the city administration goes, it’s been a democratic administration completely unchecked for about 40 years now, give or take. I will let the results speak for themselves. Any time you leave, really any party frankly, even the democrat, republican, any time there’s no checks and balances in place, I think things have a chance to get skewed and I think in Detroit it definitely got skewed to the left and you see what 40 years of unchecked liberalism has done. It has really taken a world class city down to almost a bordering on a third world country. Although, we do see signs of coming back and I know we’re going to talk about that. Yeah, I’ve read articles about the movie industry coming into Detroit. The program for the writers and the artists, so we’ll dive into that, but first I want to ask you, did you hear a lot growing up about this model cities program? No, we didn’t hear much about that growing up. It really wasn’t talked about much. You just continuously see that people were leaving the city to the point of..you know, it’s funny, Jason, people, unless they’re from here, they don’t realize that everything I had when I was a kid is all gone as far as all my schools are closed, all my churches are gone, I don’t have one parent or my friends’ parents who still live in those same houses. They have all moved out and all moved on and that’s really very unique to the city of Detroit. Sometimes I get together with old friends, we all grew up down there, and there’s not one of them that lives there and there’s not one of them whose parents still have their old houses down there. The schools are gone, etc, it’s kind of what we focused on growing up is everything just started deteriorate and eventually we lost everything and now it’s just memories. Wow. Boy, that’s a sad story. It definitely is. So, where exactly did you grow up? Like, did you just call it downtown Detroit or what area was it called? Well, when you talk about Detroit you talk about the east side and you talk about the west side of Detroit. I grew up on the east side of Detroit. Okay and is that the good side of the tracks or the bad side? Oh, you know, there’s good side of the tracks on both sides. When you talk about Detroit, you talk about downtown Detroit and basically the whole city is a wagon wheel and you got the east side and west side and there’s good and bad areas on both sides of town. Sure, now, I wanna ask you question that may seem incredibly obvious, it’s probably kind of a dumb question, but why did they leave? I just wanna hear that in your words. Why did people leave? Well, I think in the beginning it was just flat out fear. You know, once the riots happened and there were a lot of burning down of businesses and houses and just that under current of tension, people didn’t want to be a part of it. There was building going on just outside of the suburbs so a lot of people started looking into the suburbs, people who never considered it before, and I think it just had a domino effect. Oh, my aunt left or my best friend left, maybe we should leave. It was that domino effect and before you knew it, you know, you had a city that was originally plated for 2.5 million people, but now there’s 700,000 people in it and that happened obviously over time. So, it was just gradual and before you knew it, everyone you know was out of the city limits. It kind of feels..three years ago I moved from Southern California, I lived in Orange Country mostly in Irvine and New Port beach. I had several different homes over the years in my adult life and then grew up as a kid in Las Angeles just 40 miles north and that’s how it started to feel in Orange County. It felt like all this stuff that I liked, 15 years earlier, just went away. It just sort of gradually happened and there’s been a huge middle and upper middle class exodus from California. I know that the ultra rich, probably mostly stuck around because they, you know, have so many ways to get out of paying the ridiculous taxes and get out of having the government interfere too much in their lives, but the middle and upper middle class, you know, they take the brunt of it. The poorer, they get benefits. So, it’s the middle and the upper middle that really get hurt the most. It’s interesting how that happened. Did they go to any particular place? I sure know that I had lots of friends in the 80s and 90s in California who were from Michigan and from Detroit and different areas in and around Detroit, mostly. Did they go to any particular place or was it just kind of scattered all over? Well, they were scattered all over, but the vast majority are still within the tri-county area. So, remember I described to you my friends have moved on and all their parents. I would say probably 80% to 85% of them are still within 20 minutes of the city border. Oh, so they didn’t completely leave. They just moved out of a certain demographic area and gotten to a place where they felt safer in their schools, had better school systems, better roads, better opportunities, better retail establishment. Most of them are still here, they’re just on the other side of the 8 mile border. Right, so what is that? They moved about 20 minutes away then? Yeah, when you’re talking about metro Detroit, you’re talking about Wayne Country, which encompasses Detroit and some other areas. You talk about Macomb Country and Oakland County. So, the vast majority moved to Macomb and Oakland County. What do you think was really the cause of the decline of the American auto industry? A lot of people like to blame it on the Japanese and, you know, I guess it really started with the Germany with the first Volkswagen bug, you know, the economy cars, which of course in the 70s when gas prices went through the roof and people were waiting in line for gas and stuff, that was really when the foot hold began, but, you know, I blame the unions a lot, because Americans now are making pretty great cars. I mean, American cars are nice nowadays. It just seems like the unions got too powerful and they were needed originally many, many, many years ago. There was certainly a purpose and a need for unions because they, you know, employees were being massively abused, but then after a while it sort of became like, you know, we just wanna be more primitive on purpose because we don’t want too much efficiency in this company otherwise people will lose their jobs and they didn’t want to adapt and they just put too demanding on the companies. We obviously see a lot of auto manufactures in the South and the South East now and right to work states, which Michigan recently, I guess, became a right to work state. I thought that was a step in the right direction. Yeah. To be sure, back to your original question of the decline of the American auto industry, I think the unions can take some blame for it, but I also think the companies themselves can take blame for it because as with anything else when there’s no competition, people tend to get fat and sassy. Post world war 2, so for the 50s, 60s, and on, almost in the 70s, there really was no competition and frankly they didn’t put out a good product, so when that competition did come along and did put out a product and really did care about quality, they started taking a lot of the market share away. Now, as you say, a lot of that has change and American cars are on par with everything, but they gave up a lot of their market share because they got fat and silly with no competition. So, you’ve always go to have competition in a market place, the auto industry is no different. You know, I always say, attribute to my competitors, they make me better, they make me work harder everyday and it’s good we have them here to keep us on our toes and keep us excelling and pushing for more. So, what’s going on now in Detroit? There are some signs of light. I’ve definitely seen them. Take us to what’s happening now. Well, when you talk about Detroit, you also have to talk about the state, obviously, because Detroit wasn’t the only thing that was hammered. The last 8 years the state of Michigan was absolutely hammered. We had an administration here that really didn’t understand business. They drove loads of businesses away, not just the auto industry, but all kinds of businesses, and the last four years we’ve had a different administration. Now we’ve got balanced budgets, we’ve got budgets being turned in early, we’ve got even surplus in our budget, so Michigan is benefiting from that as well as the city of Detroit. What people don’t understand about the city of Detroit is how much money is truly here. When you hear everything on CNN. Oh, it’s terrible, the city went bankrupt, all of that is true, but there’s 4.5 million people here and a lot of auto industry and what people don’t understand is we have a big medical community here as well. We are kind of doing what Pittsburgh did when the steal industry collapsed on them. They went to a medical slate and that’s the same thing Detroit is doing. We’ve got probably 15 world class medical facilities all within no matter than a 40 minute drive of down town Detroit and frankly many of them within the city limits of Detroit. Between the industrial baits that we still have, I mean, yes, we’ve lost some of it, no question and of course when car companies do badly, you really hear about it. The fact is, there’s still a lot of money being generated by car companies. We still get the lion’s share of it here in metro Detroit and you got medical communities. So, between those two highly paid industries and all the support material and support staff needed to support all of that, we’re doing well and it’s something people are just amazed when they come into town and they work with us, they might look at some properties with us, they’re just amazed how solid of a community it really is and all the money that is here. Okay, so, I mean, can you still buy a house for a $1 or $100 or $500 in Detroit. I mean, I know they’re bulldozing some, so you must be able to, right? Yeah, you can do that all day long and the question is do you want to. Most of the time the answer is no. You get what you pay for. Right. I agree with you there. You get what you pay for. Tell us about those deals first. I mean, are those just in total war zones, are they meth labs? You know, I don’t know want to think, but I hear about those deals. Well, most of those are going on total war zones. They’re going to be in old areas that might have two houses on the whole block and there’s another 20 that are vacant or already torn down. So, that’s when you’re going to get those kinds of things. Now, you can get solid several thousand dollar properties and still what I think to be considered kind of tough parts of town. So, once you start really, what we do is focus on the suburbs where the money is and in those areas you’re going to be all in for a solid 3-bedroom investment property, all in for about $50-55,000. When I say all in, that’s the fix up, that’s the purchase price, that’s any buying fees that you might incur and that particular house would rent anywhere between $850 and $950 a month. It’s very attractive in terms of cash on cash returns. Absolutely. That’s better than 1% our v ratio. Now, when was that house built, that stereotypical house that you are mentioning? The one I described, those are going to be built post world war 2. 50-60s is going to be the most common build for those areas that I was mentioning. So, 50s and 60s and you can have that house rent ready for, what, $55,000 you said? About $55,000. Rent ready and it’s in a solid area that’s no vacant houses or very few vacant houses. Solid school, solid park and rec, nice cars when you go up and down the street, very unique opportunity. Okay, what kind of comfort level can an investor take that that house in that area isn’t going to be the next white flight area and I don’t mean to even mention radical, but that’s kind of an expression. People move and leave these areas, like areas go down hill, obviously some neighborhoods get better, some get worse, most of the time it seems that it gets worse, how do we know that area is going to stay good? Like anything else, no body has a crystal ball. So, no body can really determine. I think what you need to look at is pride of ownership there regardless of what people look like. Is there pride? Are people out there cutting along? Are they cutting the bushes? The areas that we put people in are absolutely is the case. Now, could that change in the future? Sure it could. Okay, so when were they a $130-150,000, what time frame were they that price? So in 06 they were that price…05, 06, right? Yeah, 05, 06, before the collapse. At one time, even a couple of years ago, your all in price would have been about $40. So, we’ve had a bounce like everybody else has, certainly not a bounce to what the levels were, but we’ve had a bounce from the bottom. How many square feet is that typical property again? They’re typically going to be 3 bedroom 1,000 square foot, three bedroom, one bath, basement and a garage or at least a basement or a garage. Basements are big here in the Midwest. So, that’s your cookie cutter, standard three bedroom home. So, it’s about $55 dollars per square foot, something in that ball park. Yeah, in that range, it’s pretty close. What about expenses though? How is insurance and property taxes? I mean, property taxes they vary quite a bit. What are they like? Well, we’ve got certain guidelines that we will not allow investors to get in if a taxes are a certain amount. So, let’s just say a place rents for $900 dollars, our average investor will net about $550 a month after they pay taxes, management insurance, and some deferred maintenance. Okay, but can you tell us how much the taxes actually are on that? Well sure, it’s going to vary anywhere between $1,500 and $2,200 dollars annually is going to be a pretty good guess. For a $50,000 house? Okay, alright. Good, that’s good to know. So, yeah, the tax rate is fairly high. What about properties management? Does your company do property management? We do. We actually used to do it all exclusively ourselves, now we have contract it out with another company who does it for us. 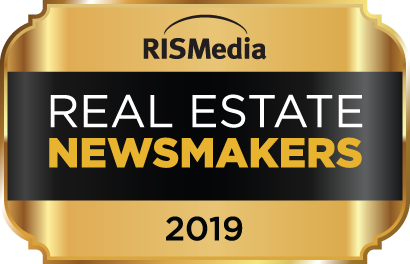 We’ve got a joint venture relationship with them, but we do have a total turn-key solution from finding them to fixing them up to turning them over to a management company and making sure they get leased out. So, we do have all of that for the investors. So, that sort of property that we were talking about. What is the insurance like? About $50 a month. So, about $600 dollars a year give or take. That’s about normal. That’s good. So, taxes are a little high, insurance is normal. What else should people know? Well, they just need to know to stay where the money is, which is in the suburbs. I see so many investors online, they get suckered to this, you know, it looks like a nice brick home, boy, we bought it for $7,000. Well, yeah, but the guy that sold it to you bought it for $500 dollars and it is in a tough part of town and I get those calls all the time that people want me to help after the fact and I’m like, no, you should have called me before the fact. So, you just have to have trusted boots on the ground that know the area and have been playing games there in a long time. A lot of people who have been flipping those little Detroit houses, they’re not from Detroit. You know, they’re buying them online and selling them online. You just asking for trouble if you do stuff like this. You need to have trusted boots on the ground that you can rely on. Yeah, that’s definitely what my company does. I completely agree with you there. What do you think the future is for Detroit? What are you looking forward to, what are you thinking is next for the city? I’m optimistic about it actually. We’ve got a major in charge now who actually has a lot of business experience. He just took over. We sent the last major to jail, rightfully so, he really deserve to be. For the first time in a long time we’ve got a major who really understands business. He’s turned businesses around before, so we’ve very excited about that. He’s already made some changes that haven’t been done in 30 years and all of a sudden he’s making those changes, those tough decisions, and so, we’re excited about that. We’re also excited about what’s happening to the state in the last four years and the job growth and the manufacturing growth, etc. Overall, I think it’s looking like a very nice turn-around prospect here in the metro Detroit area and in the state of Michigan itself. Fantastic. Well, give out your website, tell people where they can learn more. Well, easiest way to find me is just go to www.johnjamieson.com and from there there’s different buttons you can click on the real estate website, you can click on our perpetual wealth site. I have a book if they’re so inclined to purchase the book, they can do that there. That’s the easiest way to find is www.johnjamieson.com. John Jamieson, thanks for joining us. Thanks so much, I enjoyed it.